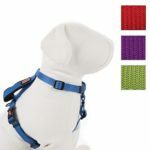 Are you looking for an attractive way to crate your dog at night? Well then your best solution will probably be to buy a dog crate end table. These end tables fit at the end of your couch or other furniture and function just like a normal end table with one exception, the inside of the table is a dog crate with a door that can be closed. Most guests won’t look twice at the table unless your furry friend is hiding out in it. Brookstone is a company that is famous for selling a wide variety of luxury goods. Now they bring to you a dog crate end table. This end table is made out of solid wood and comes in two different sizes, one for small dogs and one for large dogs. The bottom half of the sides is comprise of a wooden board while the top half is wooden slats to provide your dog the ability to see outside of the crate. The small crate costs $99.99 while the large one comes in at $148.99. The color of both sizes of crates is a light brown. This Newport dog crate end table is available on Walmart’s website. Sorry dog owners, it isn’t available in stores. 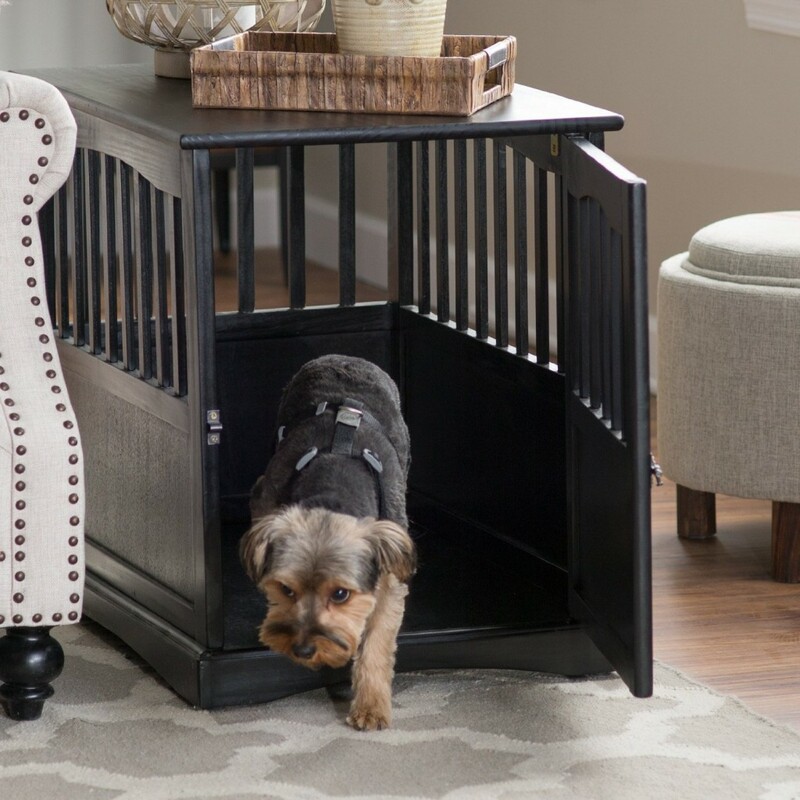 This dark wood dog crate is very similar in appearance to the one at Brookstone but it comes in a dark brown finish instead. 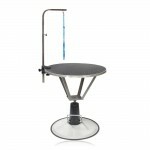 It is available in two sizes, a medium size which costs $129.99 or a large size which costs $159.99. The medium sized crate is larger than Brookstone’s small crate but smaller than their bigger crate. The large crate is bigger than both Brookstone options. The Newport Pet Crate End Table is also available on Amazon.com for the same price. 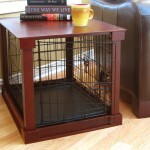 The Crown Pet Products end table pet crate is a much more expensive option for your dogs. The size of the crate is 26 inches by 39.6 inches and it is 27.3 inches high. 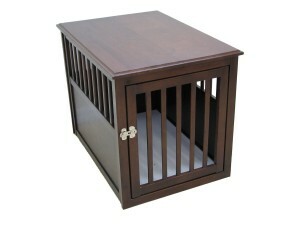 Unlike both of its competitors the Crown Pet Products crate is available in two different colors, espresso and mahogany. The espresso crate/end table is $306 while the mahogany option is six dollars less at $300. Both of the other crates feature rounded boards on the sides while this pet crate end table features a more square appearance. It also features a noticeable brushed silver style latch to hold the crate closed. 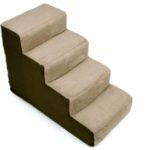 Pet crate end tables are a great option for dog lovers who want a crate that is not as noticeable and can be easily hidden away. Dog crate end tables are already hidden away by nature but when looking for such an end table make sure you measure the size of the space you are looking at putting it in and also the size of your dog. Ordering the wrong size for either will result in you probably having to pay return shipping on the dog crate end table and having to order a new one.